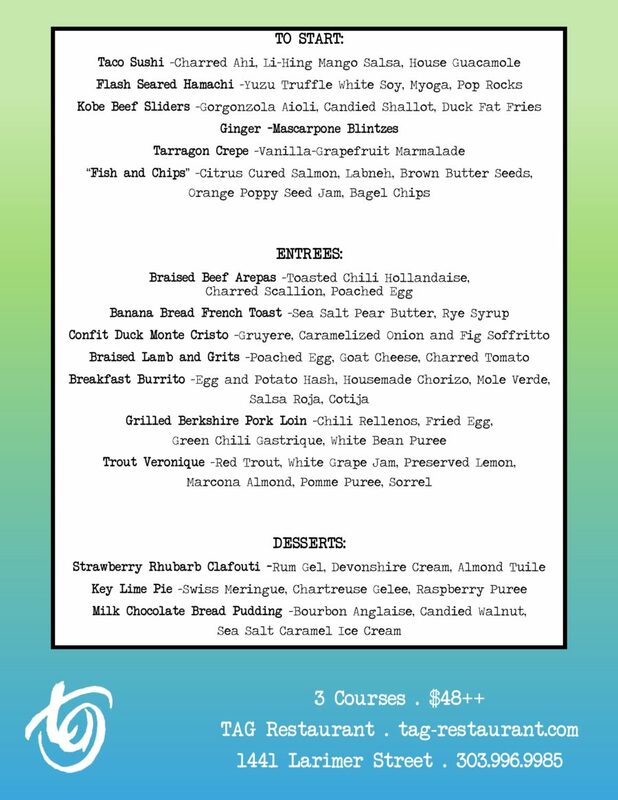 Don’t Miss Easter Brunch at TAG! Join us on Denver’s most exclusive block for a very special Easter Brunch at TAG! Now taking reservations for our three course event. Sunday, April 1st. 10am-3pm. $48++ per person.